When you are interviewing you will be asked about your future and what your plans are. This is a tool that selecting officials use to see where you plan on “being” in a determined amount of time. You will be asked: What are your long-term goals? What are your long-term career objectives? This is not an opportunity for you to “spill your guts” keep it professional and stay focused. Think about this question before you interview, you shouldn’t take more than 5 – 7 minutes. Talk about your professional goals and what educational aspirations you have. DON’T talk about your personal life or what personal projects you are working on. Selecting officials want to know: How do you plan to achieve your career goals? They don’t want details, this is a rhetorical question that is meant for them to see if you know how to lay out goals and patterns on how to achieve goals. This is actually a tactic to see how you focus on objects and how you plan to achieve objects. Again, keep it professional not personal – stay focused. The final future plan questions the selecting official will ask: What do you see yourself doing in five years from now? and What plans do you have for continuing your education? These questions help selecting officials to determine what kind of professional “drive” and motivation you actually have. It is my personal advice to answer all interview questions, keep in mind you can “respectfully” decline to answer any interview questions that you don’t feel comfortable asking. If you don’t plan on continuing your education or haven’t thought about what your goals are for the next five years, it’s okay – use your imagination and stay focused on the professional conversation. Government agencies are able to hire in all career categories and using Special Hiring Authority (SHA), and many agencies are taking full advantage of this hiring ability. Government agencies have the ability to use Special Hiring Authority for recruiting people – outright. The key is to research the agency’s SHA options. Individuals who have special priority selection rights under the Agency Career Transition Assistance Program (CTAP) or the Interagency Career Transition Assistance Program (ICTAP) must be well qualified for the position to received consideration for special priority selection. Federal employees seeking CTAP/ICTAP eligibility must submit proof that they meet the requirement of 5 CFR330.605 (a) for CTAP and 5 CFR330.704 for ICTAP. This includes a copy of the agency notice, a copy of their most recent Performance Rating and a copy of their most recent SF-50 noting current position, grade level, and duty location. Please annotate your application to reflect that you are applying as a CTAP or ICTAP eligible. Individuals who have Veteran’s preference, and submit a DD214 Member 4 copy (VEOA Employment Opportunity Act, Veteran’s Recruitment Appointment) To be eligible for a VEOA appointment, a veteran must be honorably separated and either a preference eligible or have substantially completed three or more years of continuous active service. Under the Veteran’s Guide, vets that have a disability of 30% or more can be hired – out right for the position they would qualify for if they were to submit their resumes. For example, if a 30% vet qualified as an information technician – a hiring official could hire them straight into the position. Then there are the student programs. These programs include but are not limited to the Student Career Employment Program (SCEP) and the Student Temporary Employment Program (STEP). The government is being “forced” to hire more students; this is an easy way to gain federal experience and utilized great benefits. This is a great way to get your “foot into the door” and the programs have great benefits to include but not limited to retirement, leave, flexi-work schedules, and more. In some hiring cases, they will even pay for your relocation to the hiring area that you are selected for. The government needs to “replace” the workforce that is currently retiring and these programs work to provide YOU stability. See the websites for requirements and more information. REMEMBER – Merit is for Status applicants, this means former, current, displaced, eligible veterans or other special hiring authority applicants. DEU is for public to apply for – anyone. Now that we have covered that, once an announcement closes (the close date on the announcement) go back to www.USAJOBS.GOV and check to see if the announcement was Extended, Cancelled or has any Cut Off Dates (Cut Off Dates that are used to create job applicant listings and sometimes a job announcement can be filled from a Cut Off Date – so ensure your resume is updated and you get your application in before any Cut Off Date). The closing of an job announcement, starts your “count- down clock – until hire ticking”, once it closes it takes the Human Resources Departments about 30 – 45 days to review and process all applicants and make a determination on whom is actually qualified and whom isn’t. After the qualification process is completed, a list of Competitive or Non-Competitive applicants is sent to the selecting official. Competitive applicants are applicants whom have status, and Non-Competitive applicants are those who don’t have status. The selecting official normally has a 30 day time period to review all the applicants whom are found qualified by HR Dept. If the selecting official needs to conduct interviews, they will do so at this time period. Sometimes selecting officials request a 30 day extension to ensure they are hiring the right person for the position. Once the hiring official has selected a person(s) for the position(s) the announcement point of contact will make a job offer to the selected applicant and the selected will be given a time period to “think” about accepting the job offer. If the job is rejected, the process of “going down the list” of second and third choices will follow, per the selecting official decision. When a job offer is accepted, all other applicants are notified either by email or mail of the selection and why they were not selected. You are entitled to know why you were not selected, I suggest phoning the point of contact for more clarification on how you could improve your hiring changes in the future. The total process can take up to 90 days from the closing of the announcement, all things being constant and going within the time periods accordingly. Any change can increase or decrease the time of selection by a fluctuation of 30 – 60 day, plus or minus the 90 days. KEEP IN MIND: ANSWERS TO YOUR JOB QUESTIONS MUST BE SUPPORTED IN YOUR RESUME. If your answer(s) are not supported in your resume, or you fail to follow the instructions for the question(s), agencies will lower your answer(s) to reflect what was provided, for failure to follow instructions. Stay motivated and GO GET YOUR GOVERNMENT JOB. Interview questions are used to help the selecting official of a business or company to make a decision on whom would be the best pick for a job position. There are many varieties of questions that may be asked to include: General questions, yes or no questions, behavior questions, Open – ended questions, scenario questions, and general questions. The question of “How do you work under pressure?” is sure to come up during the duration of an interview. This is a question that causes many people to feel intimidated because they are not exactly sure what to say or what not to say. Working under pressure is a skill, not everyone is able to work under pressure. It is important to state that. By stating this fact, you are showing the interview panel or manager that you have an understanding of what working under pressure consists of. You are showing them that you understand that not everyone is able to work under pressure; this is where you show off your skills and start to talk about what working under pressure means to you. You can give examples of times where you were required to work under pressure. While you speak about your experience with working under pressure it is important to give specific time and job positions where you worked under pressure. This shows the interview panel that you took that situation seriously and that you are more than capable of working under pressure. Even if you are not asked to do so, be sure to give the situation of when you worked under pressure, the outcome of your working under pressure and what the result was of the event, which you were working under pressure. This is a difficult interview question to answer, but if you come mentally prepared to answer this question you are sure to impress the interview panel or manager as well as give yourself a reminder of how competent you are and reaffirming your professional ability. Happy job hunting, you can do or be anything you want with persistence. There are many factors to “earning” veteran’s preference when applying for a federal or government job. The Office of Personnel has created a “Veteran’s Guide” to help those agencies ensure they are giving veteran’s the right preferences, this guide is the all tell all on seeing if a veteran has status or not. Yes, you read that right, just because you are a veteran doesn’t mean that you automatically are able to apply for government jobs. In order to apply you have to be a veteran and stipulations apply. First thing is first, you must be a veteran or have some other kind of veteran status. This is just one of many criteria one must meet to become eligible for veterans status. To receive preference, a veteran must have been discharged or released from active duty in the Armed Forces under honorable conditions (i.e., with an honorable or general discharge). This is crucial because, if you have a dishonorable discharge you are disqualified from veteran status. Note: Military retirees at the rank of major, lieutenant commander, or higher are not eligible for preference in appointment unless they are disabled veterans upon being discharged or separated from the military. When veterans with 5 point (TP) status apply for federal positions, 5 points are automatically added to their application scores. Yes, federal applications receive scores. When you complete a federal application you receive a score from 1 – 100 percent, applicant scores are tallied up once the announcement has closed. If your application did not receive a “high enough” score you should be contacted by the human resources of the position for which you applied. If you have any additional questions about your application, contact the human resources office of the agency for which you applied. What Important Rewards Do You Expect from Your Career? IInterview questions are vital to the hiring process of any company, the key to answering interviewing questions is to practice answering them over and over again with professionalism and honestly. When answering personal questions, it is important to keep a professional mindset while deciding how to answer the question. Personal questions about work ethic, work life, and over all work experience are not inappropriate. These are considered personal questions in relation to work. Remember that any personal questions dealing with sexuality, religion and political party preference or any other topics not allowed, under the Equal Opportunity Employment Commission (EEOC) these topics should not be asked during any interview. This is a random personal work question that may or may not be asked by many employers. It is important to focus on the main subject of this question. The main subject is “important rewards” this is the main subject of this question because if you don’t plan on receiving any awards then that should be stated, but ensure to back it up with something positive such as “I don’t plan on receiving any awards because most of my work is behind the scenes and the work I complete for my clients is reward enough.” Your answer doesn’t have to be that cheesy, but it is important to always back a negative perceived answer with a more positive response. If you have already received rewards from the work you have completed or done for previous employers it is important to mention this as well. Make sure to give details of what work was completed and the specific reward and time period for which the reward was received. Taking in mind that some positions on your resume are shorter than others, if there are awards you have received from related work or a retired status make sure to mention these awards for the position time frame. This helps the interviewer to realize that you take your work seriously and strive for greatness. This is a difficult interview question to answer, but if you come mentally prepared to answer this question or a similar question, you are sure to impress the interview panel as well as give yourself a reminder of how competent you are and reaffirming your professional ability. Happy job hunting, you can do or be anything you want with persistence. 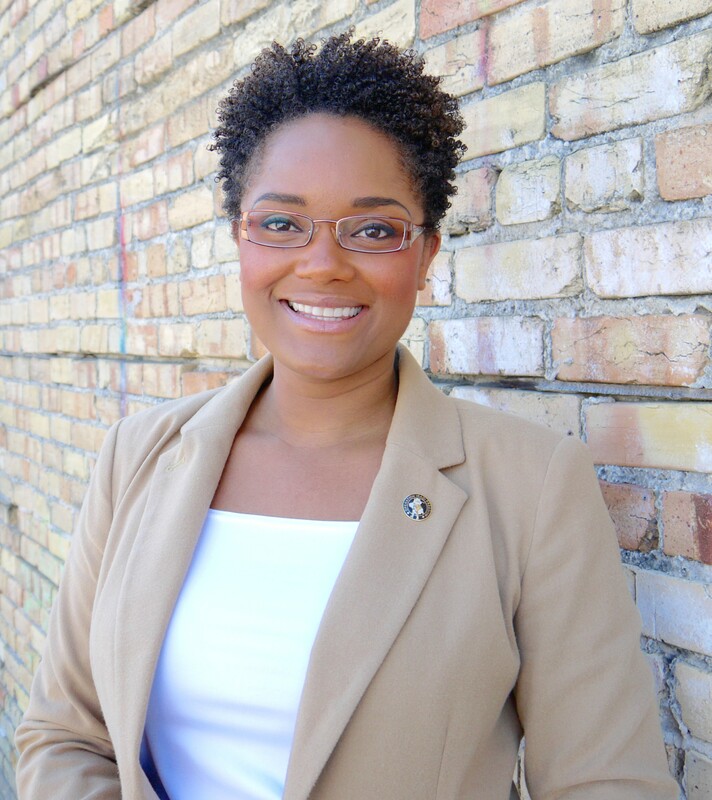 Dr. Jenice Armstead started “Smarter Not Harder HR” to provide a necessary and innovate service for growing human capital value and organizational management.